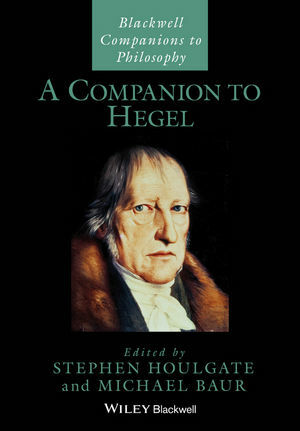 This companion provides original, scholarly, and cutting-edge essays that cover the whole range of Hegel’s mature thought and his lasting influence. Stephen Houlgate is Professor of Philosophy at the University of Warwick. He is the author of Hegel, Nietzsche and the Criticism of Metaphysics (1986), An Introduction to Hegel: Freedom, Truth and History (1991, 2005) and The Opening of Hegel’s Logic: From Being to Infinity (2006), and his edited volumes include Hegel and the Philosophy of Nature (1998), The Hegel Reader (1998), and G.W.F. Hegel: Outlines of the Philosophy of Right (2008). He has served as Vice President and President of the Hegel Society of America and is a former editor of the Bulletin of the Hegel Society of Great Britain. Michael Baur is Associate Professor of Philosophy at Fordham University in New York City, and Adjunct Professor of Law at Fordham Law School. He is Secretary of the Hegel Society of America and has published widely on phenomenology, critical theory, philosophy of law, and nineteenth-century continental philosophy, and on thinkers including Kant, Fichte, Hegel, Aristotle, and Aquinas.